You meet the nicest people in elevators. During the Romance Writers of America's national conference in Atlanta last summer, another woman and I struck up a conversation during an elevator ride. 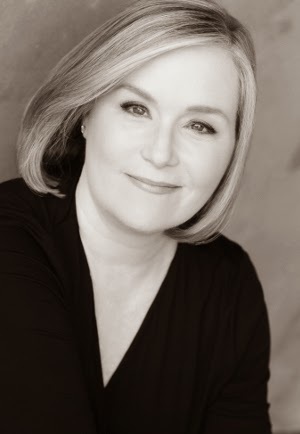 That woman turned out to be contemporary romance author, Tracy Solheim. Tracy's books combine two of my favorite things - sports and romance. 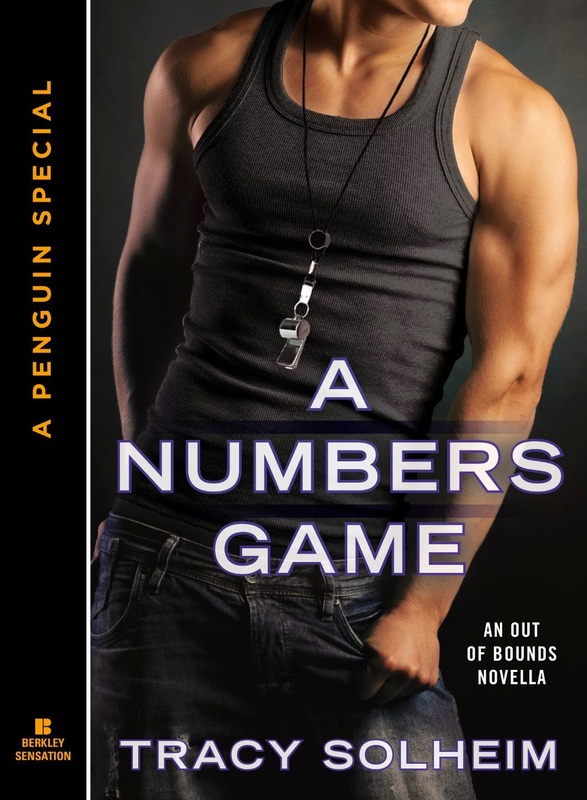 It's my pleasure to host her today during her blog tour for A NUMBERS GAME, a new novella in her Out of Bounds series. Tracy Solheim has written her share of best sellers and note-worthy books. Unfortunately most of them line the shelves of dusty government offices around the world never to see the light of day. She hopes to change that with her series of contemporary romantic fiction novels published by Berkley Books. A feeling of light-headedness nearly brought Merrit to her knees. Her eyes roamed over the well muscled arms and beautiful chest to his trim waist, honing in on the small green shamrock tattoo peeking out above the waistband of his shorts. One that exactly matched the shamrock she’d had tattooed above her own hip bone. She didn’t bother looking up at his face because she already knew it by heart. Just as she knew the feel of his firm lips on her own, the taste of his skin, the brush of his unshaved face and his musky scent. Worse, she knew firsthand the mockery that would be reflected in his coffee eyes. Mockery she’d once mistaken for something else. He stopped mid-sentence and mid-stride holding both hands up, palms out. Merrit realized she was mirroring his pose, her hands at the ready to push him away. The gasping sound she heard was coming from her own throat as her ribs continued to squeeze tightly around her lungs. She saw the moment recognition dawned on his face; his lips beginning to form a word. As if the angels sensed her panic, a surge of adrenalin washed away the cement–like feeling in Merrit’s limbs. Heart racing, she jumped into her car, jammed the key in the ignition and drove off before things really got messy and she passed out. CPA Merrit Callahan learned early not to let passion unravel her orderly life. Back in college she fell hard for a football player, only to be devastated when she discovered he’d been duping her all along—dared by his teammates to score with his bookish tutor. Now, after her back-stabbing fiancé breaks off their engagement, Merrit flees to Baltimore to escape the fallout. After eight years in the pros, a series of concussions have forced Heath Gibson out of the NFL. The transition from player to coach for the Baltimore Blaze hasn’t been smooth, but finding himself face-to-face with Merrit Callahan makes the ride even rockier. He’s been filled with regret ever since a stupid team prank caused Merrit to run away from him a decade earlier. Includes a preview of the next Out of Bounds novel, Risky Game. Readers, do you enjoy sports-related romances? What's your sport of choice? Tracy is giving away a $25 Amazon or B&N gift card (winner’s choice) to one random commenter during the tour. Click on "a Rafflecopter giveaway" to enter. Hi Tracy! I'm a big fan of sports related romances and football is my sport of choice. That makes me and the Out of Bounds series a perfect match! Thanks for hosting me again today, PJ! I'm counting the days until college football starts again. The SEC network is in Columbia at Carolina today. It won't be long now! PJ, thanks for hosting Tracy! I really love sports related stories and baseball is my sport of choice. Go Dodgers. I'm writing a series now that will feature a baseball player in one of the books. Another one has a hot golfer! I've read some good baseball romances! Fav sports stories: Jill Shalvis baseball series, SEP Chicago Stars, Jaci Burton's and Rachel Gibson's hockey. ALL of those are favorites of mine! I'm a sports fan too. Football is my favorite, although the thought of the 2014 season starting is bittersweet since for the first time in my memory I won't be sharing pre-season predictions and game-viewing with my brother. (((Janga))) I felt the same way the year my dad died. It's been ten years and I still find myself reaching for the phone to call him during games. I am a big football fan, so I have always enjoyed romances that take place in the football world. This series sounds like a perfect match for me! Cheryl, I hope you enjoy them. Please let me know what you think of them! Hope you enjoy them, Cheryl! Huge sports fan and avid romance reader.... love when they mix... Thanks for another great one to read! I love sports romances! In real life I like baseball, but I've read some great hockey and MMA romances and Tracy's series is on my wish list. My favorite sport is football. I also enjoy reading about athletic hockey players. I will read other sport heroes too. I do like those books like baseball the best...a die hard cubs fan! I like sports books but my favorite sport is basketball. I like Elle Kennedy's Body Check (a hockey book) and Carly Phillip's Hot Zone series (sports players and PR people). I haven't had the chance to read your books yet, but I enjoyed Susan Elizabeth Phillips & Rachel Gibson's sports romances. I do enjoy sports romances--I loved SEP's, Jill Shalvis's, Kate Angell's, Jaci Burton's, Marie Force's Line of Scrimmage, and I've just added a few more to the TBB. I actually picked up Tracy's Game On at the library this morning, and can't wait to catch up with the whole series! Glad to see she's got some more coming this year!